By Keith S. Wexler, MBA, Maternal Fetal Medicine, Prenatal Diagnosis and Biotech/Life Sciences Consultant, GENASSIST, Inc.
Paul Wexler, M.D., F.A.C.O.G., Medical Director, GENASSIST, Inc.
Background: I was talking with a woman who had recently had her pap smear with her Primary Care Physician (PCP) and the pap smear returned as having Mild Atypical Cells. Per the laboratory suggestion, the PCP reflexed and tested the pap smear for Human Papilloma Virus (HPV) which can help detect up to 14 high risk types of HPV. HPV Type 16 and HPV Type 18 account for approximately 70% of cancers caused by HPV. The PCP called her and told her that she had tested positive for a least one type of HPV. Then the PCP continued and told her that she needed to notify each of her sexual partners before relations since she was now a carrier of a “sexually transmitted disease”. Needless to say, her concern over her possible cervical cancer risk in the future was severely overshadowed by her PCP’s label of her as a carrier of a “sexually transmitted disease”. Analysis: Cervical Cancer can be both genetic and non-genetic. 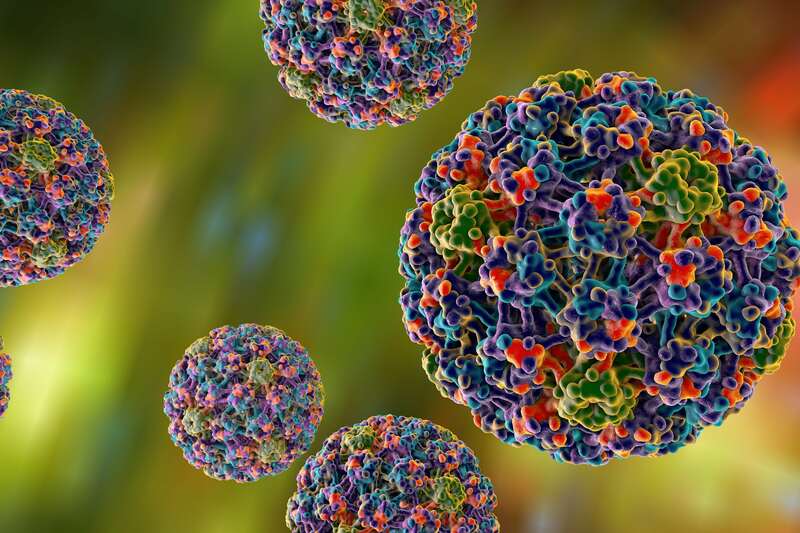 However, with the detection of the Human Papilloma Virus (HPV), cervical cancer has been shown to be acquired versus genetic in up to 70% of cases due to a women’s exposure to the HPV virus. The recommendation for vaccination of females (9-26 years of age) and the recent approval of the HPV (Human Papilloma Virus) vaccine for adolescent males should help significantly reduce the incidence of cancer of the cervix and the less common vulvar and vaginal cancers in females and penile cancers in males. The incidence of cancer of the cervix is approximately 7-11 per 100,000 women, with the incidence being higher in Hispanics and Black/African American Women. In the past, cervical cancer was the second most common cause for cancer related mortality in females. However, for years, regular papanicolaou (pap) smear of the cervix has been routine in the United States and many other countries and has allowed early intervention with laser and/or surgical excision to affect cures. 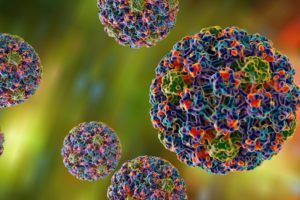 The HPV vaccine with two types (Types 16 and 18) of the 14 Human Papilloma Virus types known to cause approximately 70% of cervical cancer, may offer protection to several additional viral types involved in cervical cancer and should help lower the incidence of the disease further. *The new vaccine now contains 7 HPV types associated with cervical cancer (16, 18, 31, 33, 45, 52, 58) may offer up to 96% protection against cervical cancer caused by types 16 & 18 and up to 90% protection caused by the other 5 viral types. Although the exact mechanism of malignant transformation of cervical cells has not completely been worked out, control of cell proliferation and repair of DNA may be affected and the Tumor Suppressor Genes p53(chromosome 17p13.1) and pRB (chromosome 13q14.2) may be altered. Mutations and/or amplification of genes c-Myc (chromosome 8q24) and Her-2neu (chromosome 17q12) among other genes, may be implicated in the initiation of spread of cancer of the cervix. Treatment targeting specific genes are actively being pursued as well as laser, ablation and partial and/or complete excision of the cervix or uterus continue to be a current therapy standard of practice. Although there is a trend for women to stop pap smears after 60 years of age, approximately 15% of cancer of the cervix occurs in women over 65 years. Smoking appears to increase the risk for cervical cancer and use of condoms will help lower but not completely eliminate the risk. This entry was posted	on Wednesday, January 4th, 2017 at 8:00 am	and is filed under ABC's. You can follow any responses to this entry through the RSS 2.0 feed. You can leave a response, or trackback from your own site.